This two day workshop is designed for coaches wishing to use their coaching skills to help couples and business partners to resolve their differences, improve their relationships and plan their future together in an effective and energising manner. Coaching couples/business partners requires a coach to focus on three agendas, the two individual agendas and the agenda of trhe relationship. During this workshop you will learn how to facilitate your two clients' agendas and viewpoints and help bring them into the third agenda, which is their relationship. You, as a coach, will always be the voice of this third agenda. 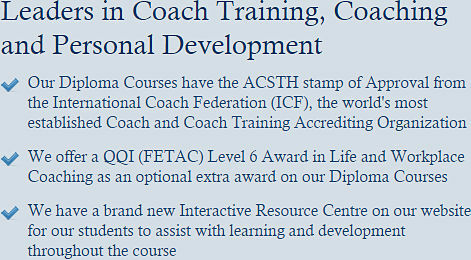 The training will revolve around the extensive use of role plays, to allow for maximum learning for participants. The workshop has been created by Adrian Mitchell, Managing Director of ILI and will be facilitated by him. He is passionate about improving relationships and bringing harmony and growth to this important area of life. He recognises that couples and business partners are usually their own worst enemies as well as being best friends, but are often unable to let go of their own viewpoints, and find themselves time and time again the victims of their own reactions in relation to the other. This blocks "real conversations" between them and thus creates a wall between them. The wall tends to get bigger rather than smaller. 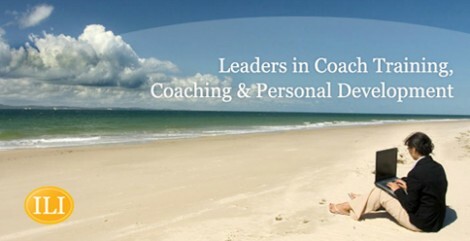 Coaching is an excellent forum to break down those walls and allow "real conversations" to start flowing again. Adrian has worked with couples for the past 20 years, first as a counsellor and from 2001 as a coach.